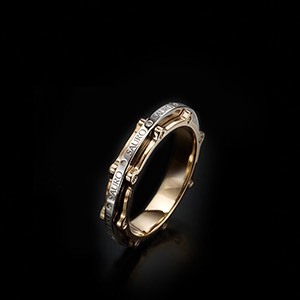 Our fine jewerly is known for its highly precise craftmanship, & innovative designs. 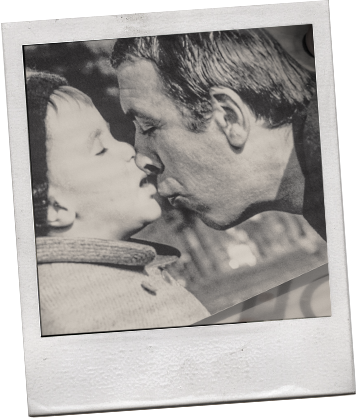 Discover the passion behind SAURO. After thirty years of professional experiences throughout various levels of business ventures, Ivo Sedazzari entered the goldsmith industry by happenstance in 1978, a situation in which he not only thrived and excelled, but so too did his company, products and designs. With his first company founded in Milan, the heart of Italy’s finest jewelry, Sedazzari’s business model and approach led to immediate success. 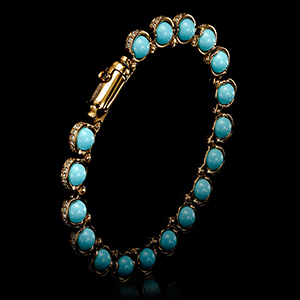 As the inventor and braintrust of many of Italy’s finest pieces of unique jewelry for some of the country’s — and by extension the world — biggest companies, it was only a matter of time before Sedazzari stuck gold with his own: Sauro, renown of its original, complex and mechanical designs in high demand. 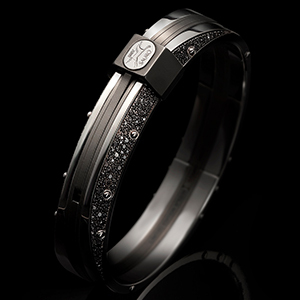 A visionary, Sedazzari pioneered the use of rubber-based fine gold jewelry, while perfecting the use of wood, ceramic and carbon-fibre-based fine jewelry, crafting Sauro into the world’s elite manufacture and producer of high-end necklaces, bracelets, rings and bangles. Characterized by the Greek mythological horse of gold; a strong, confident and majestic animal infused with the most precious of metals.  The Sauro logo well-encapsulates the philosophy and quality of Sauro. 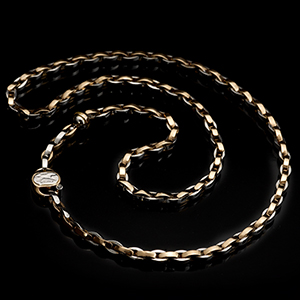 The name Sauro is the combination of the S in Sedazzari and the Latin word for gold, “auro,” creating a new, inspiring take on the golden word. 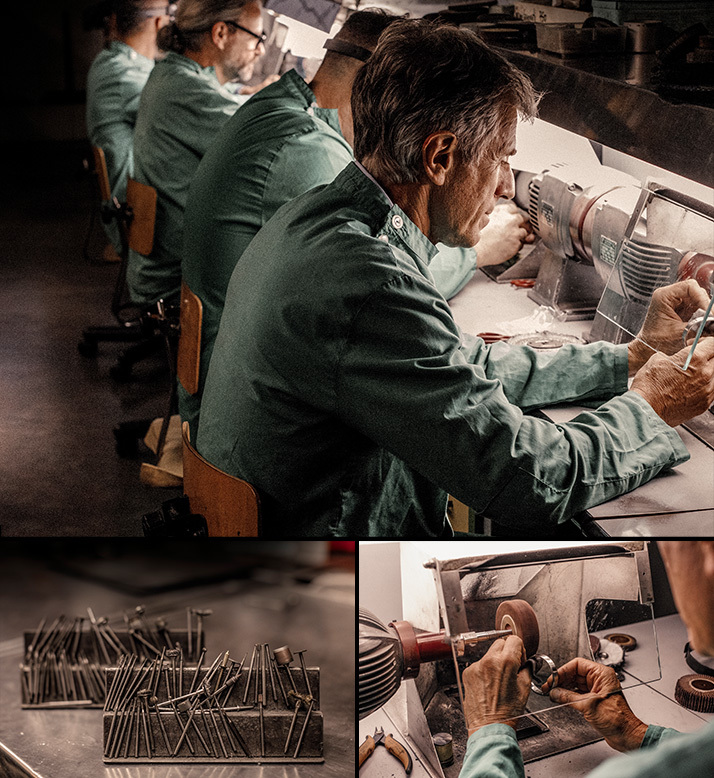 Every detail of a Sauro jewel is designed to fulfill a particular function, helping to hold its shape and maintain its finish, making the product last the test of time. The execution of even the smallest and simplest steps in the the creation of each product are deliberate and intentional to ensure the utmost care and quality perfection. 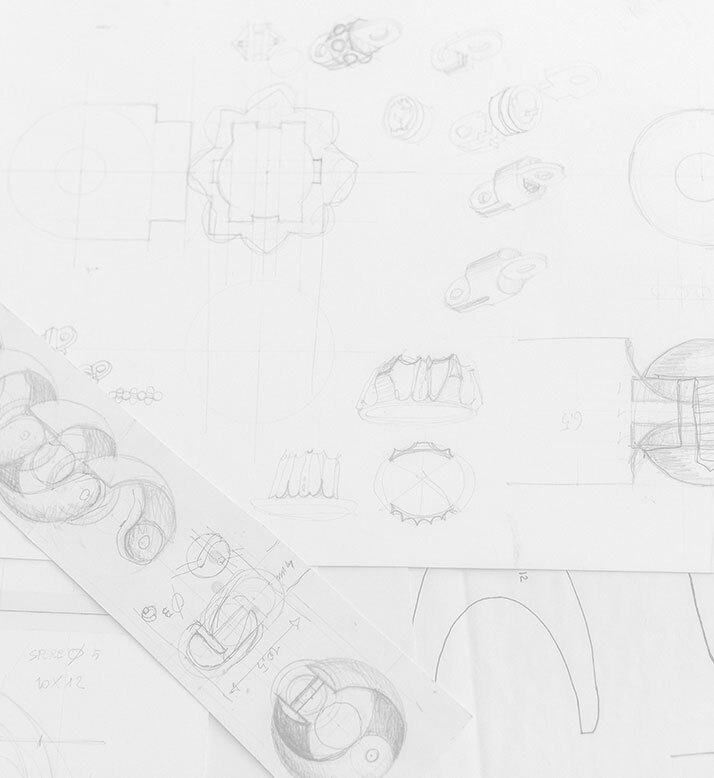 Product creations begin with a pencil sketch and slowly move through an elaborate system of manufacturing, including the incorporation of unique mechanical components into the jewelry design, requiring precision-production. Our process is continuously reviewed and reflected upon to ensure the highest quality standards are achieved, while always thinking of new ways to provide additional care in product creation, leaving clients satisfied. We source manufacturing only to the finest Italian factories specializing in product development, each focusing on specific production elements, allowing each of their expertise to merge into an inspiring product. Sauro’s wood, rubber and carbon-fibre designs are the more exotic materials used in the original pieces made. With few other companies using these materials in their designs, Sauro is unique both for its innovation and also for its ability to partner with the most experienced manufactures for these styles. The numerous stages and components involved in manufacturing a Sauro design results in undisputed beauty. All Sauro creations are patented while being designed and manufactured, from beginning to end, in Italy. Sauro’s rich history is elegantly understood through a simple glance of its work. From the beginning of it’s uphill journey, to the welcomed challenge of continually developing breathtaking products, the museum brings viewers into the life of Sauro, displaying it’s timeless pieces, and how older designs remain distinguished to this day. All will be inspired when viewing his past and present creations, leaving a taste for what's to come in the future. Sauro has two main offices: Vicenza, Italy (Europe) and Toronto, Canada (North America). The Sauro team is based on the synergy between the Sedazzari, Sapir and Dana families and their continual commitment to perfecting this fine art. 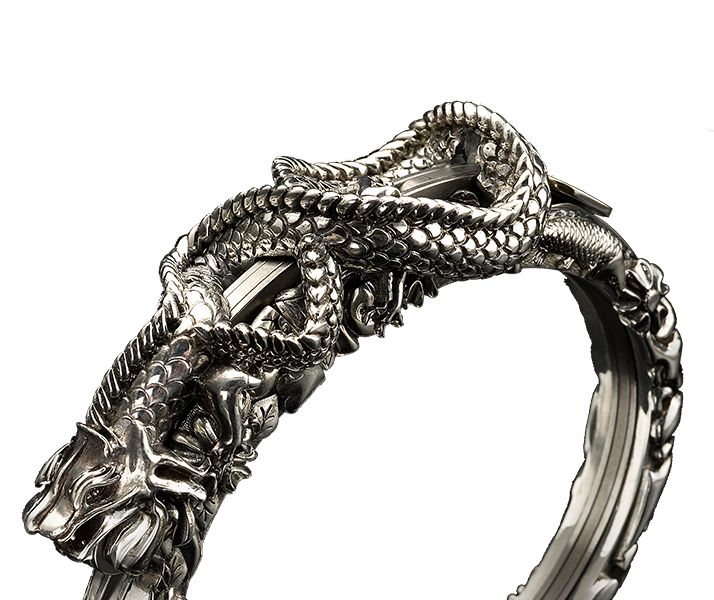 For the most demanding customers SAURO creates unique pieces designed to give form to the wishes of the future owners.